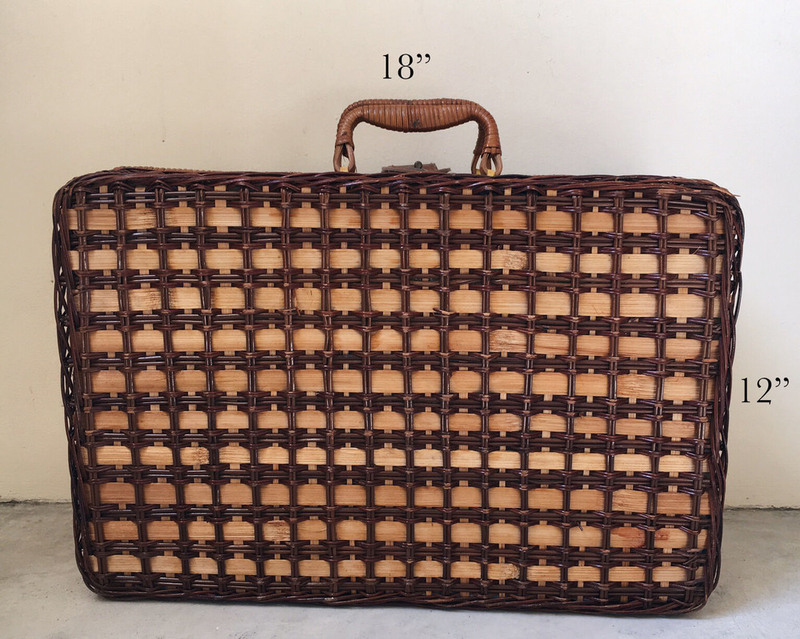 Vintage wicker picnic basket with handles and fully functional inner straps. A stunning piece in its own right, perfect as a display or for collecting guests' well-wishes. Measures 18" x 12" when closed.